Kevin Gilroy is the Treasurer of Northumberland County since July 2010 and recently reelected for a four year term. Prior to Gilroy’s appointment he was community/Commercial Banker for over 33 years. He lives in Northumberland County, Paxinos, for 25 years. Born in Scranton, a graduate of Pottsville High and received his Bachelors Degree from the University of Scranton. He has also completed several Advanced Community and Commercial banking courses from Bucknell University and retains his Property and Casualty Insurance License. 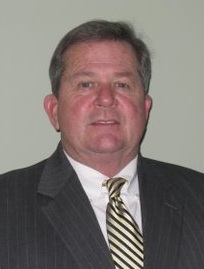 Gilroy is presently chairman and president of the Greater Danville Area Industrial Development. He has server in the past as board director of the Regional Economic Development Council of Central PA, Director of the Innovation Center of Central PA, Northumberland County Housing Authority, Maria Joseph Manor, and Danville Rotary for twenty years. Gilroy resides in Paxinos with his wife Carolyn. They have three children Eric, Melissa and Kelli. Collect all monetary funds from all departments throughout the county, verify, record and deposit to appropriate accounts. Treasurer is responsible for managing over 35 banking accounts and the overall sales of dog licenses, hunting licenses, fishing licenses, hotel taxes, monitoring the sale of small games of chance/ Bingo certificates and the collection of county taxes from the tax collectors. The Treasurer serves on the County Retirement Board.